Natural methods can be used to address these problems. In general, one can say that there are eight steps to curing depression naturally. 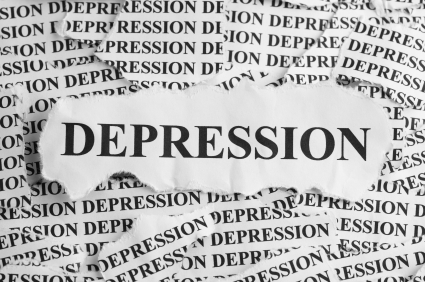 As outlined in the article, “Natural Causes of Depression,” some of the most common causes of depression are lack of sleep, lack of B vitamins in the diet, poor dietary habits, lack of exercise and poor spiritual health. 1- Sleep more and drink more water. In my personal experiences with clients, I am amazed how often this simple therapy will cure almost anything. Most of the time I find people do not even need to go further than this step. In “Your Body’s Many Cries for Water,” Dr. F. Batmanghelidj, MD, describes how chronic dehydration can cause numerous diseases by crippling the “transportation system” of important enzymes and hormones. When these enzymes and hormones cannot reach the organs they need to reach, many diseases result. When these nutrients cannot reach the brain, depression and other mental disorders result. In one of his studies, there was a 30% improvement in Alzheimer’s patients after adding just three extra glasses of water a day to their diet. Many people find that, by sleeping eight hours and drinking eight glasses of water a day, their depression is alleviated. 2- Break the cycle. Sometimes taking a medication or an herb or even using aromatherapy can provide a catalyst to a lasting solution. Essential Oils commonly used in depression are: clary sage, lavender, bergamot, sandalwood, rose, neroli, geranium, and lemon. In The Fragrant Mind, Valerie Ann Worwood offers a list of formulas for mixing combinations of oils for everything from weepy to hysterical depression. Some of these oils are even internationally famous for their effects – Bergamot essential oil is in real Earl Grey Tea and Sandalwood is used in Sudanese marriage ceremonies to assure a happy bride! The herb, myrrh, can be burned, or a half-teaspoon of powdered myrrh can be added to a glass of boiled water and drank (once cooled) twice a day to chase away depression. Borage is the herb used by Native Americans to treat depression caused by a loss “when the heart is weeping with sorrow.” Lemon balm, linden (lime blossom), basil, skullcap, St. John’s Wort, and aloe vera are also effective herbs for depression. Bach Flower Remedies can also be used for depression. The most common ones are gorse (for hopelessness), willow (for bitter resentment), and sweet chestnut (for deep despair). 3- Do a health fast or detoxification program. Bernard Jensen, in his book The Guide to Better Colon Care, states that clogged and toxic laden intestines can store toxic feelings and that the liver can also store many negative emotions. The Chinese use the herb buplerum to release emotional toxins as well as physical ones from the liver. Bernard Jensen finds that a physical detoxification often goes hand-in-hand with an emotional detoxification as a person undergoing a cleansing program will often emerge better able to deal with their relationships and life. There are many cleanses available in books or from natural therapists. A cleanse can last anywhere from one to twenty-one days. 4- Exercise is one of the most popular anti-depressants on the market. 5- Evaluate your environment. If your depression is effected by allergies, lack of sunlight, or other environmental factors, you need to work on eliminating these problems. It is recommended to work and live in spaces that provide adequate sunlight and exposure to nature (through indoor plants) as well as to get at least eight hours of sleep a night. Activities such as nature hiking and gardening are very anti-depressant. We should seek out more sun in the winter months as seasonal affective disorder (SAD) can afflict us in the dark months of the year and cause or mimic depression. 6- Explore how your “type” deals with depression to give you an idea about how to proceed. 7- Evaluate your diet: B6 (found in leafy greens, fish, poultry, and whole grains) helps elevate serotonin levels. Beans and greens are highest in B6, and a half-cup of chickpeas provides one third of its USRDA. Selenium is provided amply in fish like tuna. Sources of B-vitamins and folic acid include egg yolks, legumes, whole grains, yogurt, clams, kidney, liver, seafood, vegetables, Brewer’s yeast (non-alcoholic beer has this), mackerel, clams, and green leafy vegetables. Many times, with chronic conditions, an herb will work so slowly you will not notice its effects. Do a “check in” now and then; in four to six weeks, you should see a difference. 8- Work on the spiritual aspect of your depression. Just as with vitamins and herbs, spiritual cures may take time to heal. Many Muslim scholars have given us tips on how to deal with depression and guidelines on how we can renew our spiritual life. Acknowledge that God is free from injustice and that He would not cause any hardships without a reason. Confess that any imperfection and failure are one’s own. Putting the blame on others is worthless. “Everything good that happens to you (O Man) is from God; everything bad that happens to you is from your own actions” (Surat An-Nisa 4:79). Confirm your dependence on Allah and that you move according to divine plan. “And if God touches thee with affliction, none can remove it but He: if He touches thee with happiness, He has power over all things” (Surat Al-An’am 6:17). Strive to live according to the Qur’an and Hadith every moment of every day – not just during in prayers or while in the mosque. Al-Akili, Imam Muhammad (Translator). Medicine of the Prophet. Gottlieb, Bill. New Choices in Natural Healing. Prevention Magazine. New Foods for Healing. Wilen, Joan and Lydia. Folk Remedies that Work. Wormwood, Valerie Ann. The Fragrant Minds. This article was first published in 2003 and is currently republished for its importance.